Every pregnancy and birth is different and no book can ever completely prepare you for the huge life changes. 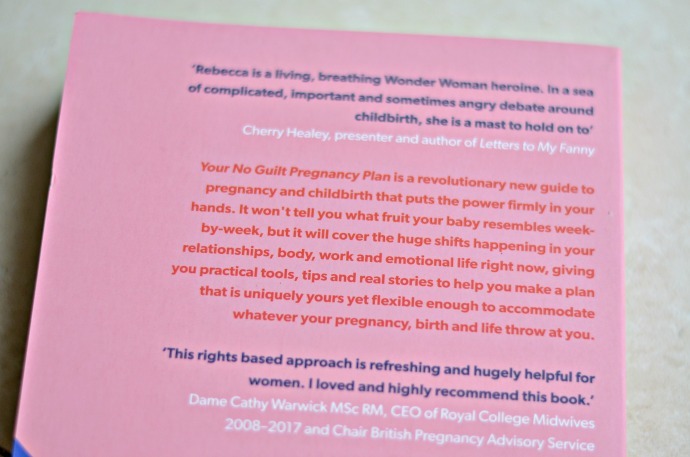 Rebecca Schiller, CEO of birthrights has written a guide to pregnancy and not in the typical fruit comparison way. 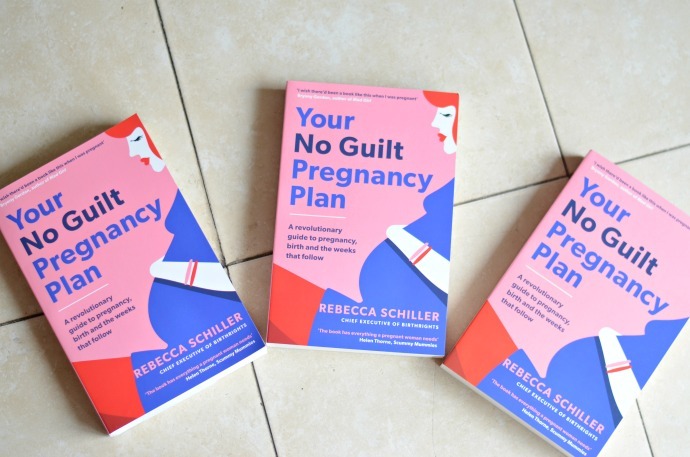 Your No Guilt Pregnancy Plan walks you through the physical and emotional changes that pregnancy brings as well as preparing you for birth and having a tiny human being completely dependent on you. I know that during my first pregnancy I was so concerned with the stages of development that I never really stopped to wonder what life would be like when he finally arrived. I went in to labour naive as to what would happen and I was lucky that it was all pretty straightforward. Looking back now, there are things I wish I had known and Rebecca's book discusses them all. The book encourages you to take control, to make your own decisions and to find out all the information you need in order to do it. I think it makes a great gift for an expectant mother and I wish it had been around 7 years ago when I was pregnant for the first time. I have three copies to give away today and entry is simple via this rafflecopter form. If you are pregnant or know somebody who is then make sure you enter!